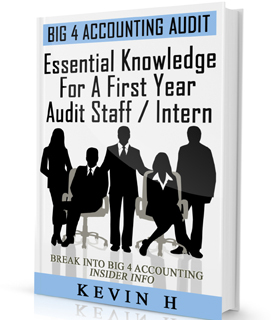 Home » Life of a BIG 4 Auditor » So You Quit Big 4 Accounting. Where Can You Get Free CPE Credits? So You Quit Big 4 Accounting. Where Can You Get Free CPE Credits? Where Can You Get Free CPE Credits? If you work at a Big 4 Accounting firm, you never have to worry about CPE credits. There isn't a year that goes by where you were concerned that you wouldn't have enough CPE credits to maintain your CPA license. To maintain your CPA license, you need a minimum 80 CPE credits every 2 years. If you didn't get them through the endless webcasts that were held throughout the year, then you most definitely got the CPE credits at the mandatory yearly training. However, now you just quit Ernst & Young, KPMG, PwC, or Deloitte or a mid-tier firm. Where can you get CPE credits? You've grown so accustomed to not paying for CPE credits, the last thing you want to do is sign up for CPE classes at $50 a pop or $100 a clip. The good news is that if your employer values your CPA license, meaning they want you to keep it active, they will most likely pay for your CPE credits. If you are worried about where to find these CPE courses or webcasts, then my guess is that you haven't been receiving any NASBA or AICPA newsletters. Those newsletters are filled with CPE credit courses. If you are still hesitant to sign up for NASBA/AICPA CPE courses or just rather not deal with the paperwork of getting reimbursed by your firm, I'd recommend just watching webcasts put on by the firms. For webcasts/site links, see below. They are usually 1-2 hours and will give you 1-2 CPE credits. It's not unusual to get all your CPE credits done within a couple months. Make sure you do the "polling questions" throughout the hour otherwise you will not get CPE credits.